I’m closing in on the end of the Slayers franchise. It’s been a fun ride and this is certainly one of the definitive fantasy franchises out there. Revolution is certainly a lot newer than the other TV shows and you can tell as the animation is much brighter and more colorful compared to the old ones. Gone is the classic 90’s style and you can say hello to the 2000’s. The budget is consistently good for the animation and it is a lot of fun to see the classic cast return. Slayers Revolution is only 13 episodes so that means that the plot can move at a much quicker pace than it usually would. A mysterious rabbit with hands for ears appears one day and starts destroying magical tanks. The cops believe that Lina Inverse is behind this so they hire special investigator Wizer Frayon so arrest her. To prove her innocence and get vengeance on the rabbit Lina and friends decide to find him. That being said, forces beyond what they may comprehend are also at play in the shadows. A kingdom which fell to a plague is involved and an evil kingdom is seeking the use the Zanaffar armor to make themselves a legitimate threat to the rest of the world. Finally, what does Zellos have to do with all of this? While the series is only 13 episodes, it still makes time for some filler episodes. One of them involved a boulder contest as the heroes had to make the best golem possible to defeat the others and roll a ball up a legendary mountain. Pokota (The rabbit) decided to get involved as well for a fairly enjoyable one shot episode. Slayers has always been a series that had a lot of filler around to keep things from getting too serious with the main storyline. As far as the fillers go, they weren’t bad here and I at least did enjoy that one. The series is at its best when the show gets back to the plot though. The beginning of the show is a little slow, but it starts to get more exciting as it shows up. Especially once the assassin, Zuuma, shows up. He’s fairly powerful for an opponent and then the heroes set sail for the evil kingdom to settle things once and for all. The final 5-6 episodes are essentially one long climax that takes a few pauses before continuing each time. The climax can certainly hold its own against any of the older titles. (It can’t win though, but it can hold its own) You’ll want to be ready for the giant monster at the end! The series does a good job of mixing comedy with action as per usual. I’d say that Slayers has been modernized in a good way in that it is still similar to how it used to be in a nostalgic way. You could even make the case that Revolution feels more like a Shonen than the previous titles at times since the action was really nonstop for almost half of the series at the end. While Next still had some of the best fight scenes in the franchise, the sheer power of the animation keeps it close here. As I mentioned earlier, the animation never lets up and it’s worlds beyond what we saw in the previous shows. One look at the theme song will show you that this series means business and that’s especially good news for all of the energy attacks, which have never looked so vibrant. As this is J.C. Staff, I’m not surprised since they are certainly one of the best animation companies on the block. I look forward to seeing how great the next show looks. As for the humor, Slayers is typically funny and this series does a good job with that for the most part. The only downer in that area is the fact that the chest jokes are still present and more prevalent than ever as the villains always use this to taunt Lina before she blows them up. Still, while it is annoying, it’s probably the tamest form of fanservice that you can even have in a show and isn’t really enough to hurt the score. It also vanishes once we are around halfway through the series, which was certainly nice to see. As always, Lina Inverse makes for a pretty great main character. She’s easily the strongest member from the main heroes and her Lord of Nightmare’s techniques really make her a threat for any opponent. She never uses the Giga Slave as the risks are probably too great, but she has many other spells at her disposal to tip the scales. While I would have liked for her to have beaten up Zellos to show how skilled she is, Lina always has a plan up her sleeve. It’s hard to find a more likable main character than Lina and I’m confident that she will always be a likable protagonist at this point. 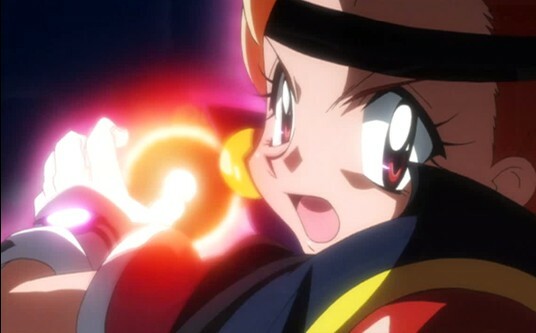 When I think of epic anime heroines, Lina is certainly near the top. Gourry is true to form as you would expect. He’s still a fun character to root for and you’ll feel bad for him since he no longer has the Sword of Light. For most of the series, that does prevent him from being useful and he tends to be in the way during a fight scene. He tries hard, but it’s tough to manage when you have a sword that breaks over and over again. He gets a great fight scene at the end of the show to make up for this tough and he certainly outranks most of the supporting cast members. 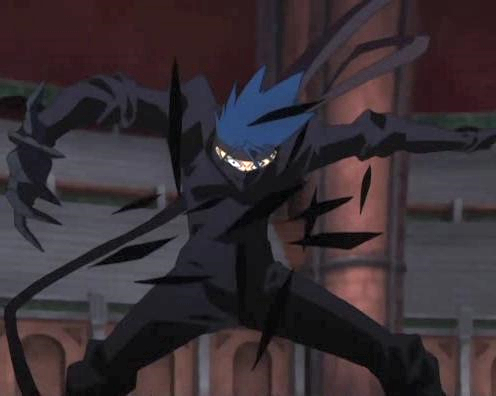 Zelgadis used to be the intense rival character of the show, but he’s typically played for laughs in the current seasons. He has a lot of serious moments as well, but he’s so weak that you really can’t take him seriously. While teaming up with Amelia, he was barely able to beat a puppet. His skills have definitely stopped improving and they may have regressed over the years. At this point, he’s easily the weakest member of the main group, but I suppose that he means well. Amelia is certainly a more likable character than Zelgadis and her search for peace and justice is one of the reasons why the character is so endearing. It’s also good to see a fighter using magic as a close combat type of attack instead of just shooting energy blasts all the time. She’s still not quite as strong as Lina, which we saw in the filler episode where the two fought, but Amelia has become a dependable fighter in her own right. Unlike Lina and her other pals, Amelia never allows herself to be corrupted and tries to help everyone that she can. Zellos makes an appearance in this season and his role was actually a little larger than I would have guessed. He mostly sticks to the shadows, but actually gets to fight at one point when he challenges Lina and her friends. That was great since we haven’t seen him fight in a very long time. He easily overpowered them and showed why the main characters would always be outranked. Even if their spells can destroy him, they can never hit because of the large gap in speed. Zellos was a fun villain to have in this series and he’s certainly gone up since Next. The new voice an intriguing switch and I’ll have to get used to just about all of the new voices, but it’s not like I’ll have to get used to them for very long at this rate. I expect to see him in the next season as well. Sylphiel appears briefly for the final fight, which will be cool for long time fans. As in the first show, she starts off with a very impressive scene as she blocks a blast from the legendary Zanaffar. After that, she quickly forgets how to be a fighter though and goes back to fainting and being in distress. It’s odd as the exact same thing happened in the first season. Maybe that’s just her gimmick. She obviously has a lot of combat potential, but it’ll likely never be explored. She’s a good character, but a longer action scene would have helped a lot. Pokota is one of the new main characters for this season and it’s safe to say that he’s not holding back in terms of personality. It doesn’t really work for me even though the show was trying to go for the tough guy routine. I can’t take him seriously in his present form and his quest to destroy the magic tanks felt pretty futile since they can be manufactured so easily. He has a tragic past and a few twists as well, but he didn’t really add anything to the show. He’s great at running and somehow knows how to use the Dragon Slave, but he was never very helpful when actual villains arrived. It’s a classic example of a character who’s great against heroes, but bad against villains. Sort of like the police in your average super hero film. They can sometimes have the edge against Batman, but fail to stop random muggers. Pokota certainly didn’t do wonders for the cast, but he should be a little better in the next season since he’ll have mellowed out a little. Duclis is one of the big villains and his plot ties into Pokota’s. Duclis wants to make the world pay for abandoning his people in their time of need and gets a giant monster ready to destroy everyone. Towards the end, he loses confidence in his goal and basically just decides to leave everything up to fate. He had a solid design and his light saber was cool, but he’s certainly not one of the more interesting villains around. I also wouldn’t say that he was a great threat power wise although he was a decent fighter. The show hyped up a fight between him and Lina, but it got interrupted before it could start, which was regrettable. Gioconda was probably the worst villain here though as she was fairly generic. She just wanted to become richer and richer with every passing year. A noble goal, but when you’re already a multi billionaire…what use is more money? She already had her own kingdom, army, and castles. I just wonder why she would need more money or power, but goals don’t always have to make sense I suppose. She’s a decent fighter when she has a weapon, but I’m confident that Gourry would have had the edge if he had the Sword of Light. As it stands, he was holding back anyway. Gioconda’s android was much more memorable and she also seemed to be a better fighter as she could heal. Zuuma is an assassin who really wants to destroy Lina Inverse. He is a human who knows quite a few good spells and his shadow magic can nullify all other spells. That’s definitely a very handy technique to have against someone like Lina since he would have the edge over her in a sword fight. He did a good job of handling the whole team and I have a feeling that he’s going to do quite well in the next season as well. He was certainly the best villain here and a great addition to the overall cast. Zanaffar is the big monster who appears at the end of the show and works quite well as the final boss. He can actually talk, which was certainly a good thing and his abilities were impressive. He is impervious to most spells and he has a giant laser blast which can deal massive amounts of damage. I don’t think that he could be Shabranigdo, but he could give the other giant monsters a decent fight. His lack of speed is probably the main thing that holds him back, but that’s where his immunity to magic comes in. He’s a solid all around boss when you really think about it. As I mentioned earlier, the best part of the series is the last 5-6 episodes, but the best episode of the batch would probably be the 3 on 3 fight in the Gladiator Ring. That was a lot of fun and we got to see how some of the fighters handle themselves individually. Because Lina is always surrounded by her friends, we rarely get to see her fight on her own. It’s why I was sad that she didn’t end up fighting Duclis. If that’s one thing that Slayers Revolution needed more of, it was one on one fights. Next actually had several of them and I suppose that it is one of the perks of being about double the size of this show. The pros easily outweigh the cons for long running series and I’d gladly take another 10 fillers if it meant that we would get 3 more episodes with some great fight scenes. A longer Gourry vs Zuuma fight would have been great as well since you could tell that it would be a really fun rivalry. As for the soundtrack, Slayers Revolution certainly doesn’t disappoint there. The theme song is easily the best one in the franchise and the theme is quite catchy. It plays during the climax of the arc and certainly fits in quite well. The ending theme is also solid and the music that appears during the show is good as well. While not amazing, there were two themes during the episodes that I certainly liked. One was the danger approaching theme (Not the title, but that’s the best way to describe it) which occurred whenever things were looking bad for the heroes and the normal battle theme was also decently good. The theme song is what really helps the series as the soundtrack can be a little bland otherwise, but certainly still good and it fits for the series. It fits so well that a lot of the tunes have been present for the whole franchise. Slayers also ends this season with a lot of cliffhangers to ideally be wrapped up in the next installment. The Android who helped Lina and friends seems to be part of a bigger scheme and the Rezo jars are still around the world. If they are all destroyed, Rezo will die as well. We also can’t forget the fact that the heroes need to find Rezo and fast if they are to awaken Pokota’s people. These plots and more, you can bet that the next show is going to have a lot of action and even Zuuma shall return if you saw the after credits scene. He has the jar and he has the power. The heroes barely stopped him last time and unless Gourry is able to keep on using the Sword of Light, the heroes could be outclassed. Overall, Slayers Revolution was quite good and the 13 episode set up worked well for the series. One thing that hurt Slayers Try a little was the large amounts of filler that the series had, which kept you from getting too invested in the story. Part of the appeal of Slayers is the random adventures that they have, but I prefer to have all of the filler before the main plot or after it so that it isn’t interrupted too much. That rarely happens though and it still works out all right, but the short length of the series forced it to go at a rapid pace. Whether you have seen the other Slayer titles or not, this is a fun fantasy/action anime to check out. I would highly recommend still watching the other Slayers shows if you liked this one though as you will see their origin stories and learn a lot more about the universe as a whole. There are a lot of wink-wink moments to season 1 for the fans and it’s always fun to know the references. I’ll be checking out the next show soon and we’ll see if it can manage to top this one. This entry was posted in 7 Star TV Shows, Reviews, TV Show Reviews, TV Shows and tagged Action, Anime, Anime Review, Fantasy, J.C. Staff, Lina Inverse, Review, Slayers, Slayers Revolution, TV Show, TV Show Review by dreager1. Bookmark the permalink.